Ripples - Port Alfred Accommodation. 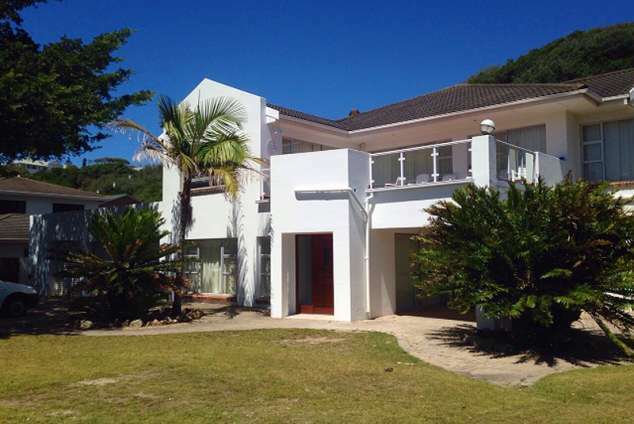 Ripples is a large, newly refurbished luxury self-catering property situated in a prime location on the west bank of the River Kowie, in the picturesque Eastern Cape coastal town of Port Alfred; ideally suited for group holidays, family reunions and bespoke private lets. A short walk down to the fabulous Blue Flag west beach and pier. We are just down the road from the iconic Port Alfred River & Ski-Boat Club & Kowie River Wagon Bridge. Excellent, pro-surfer endorsed surf breaks, particularly off the east beach & pier. Brilliant rock & surf, deep-sea, fishing kayak, Jet Ski and estuary fishing something for every enthusiast and ability level. Easy access to local Game Reserves Addo Elephant Park, Mansfield, Kariega, Amakhala, Lalibela and Pumba. Close to the historic cultural centers of Bathurst, Grahamstown and Alexandria. With Africa's foremost aviation training center, 43 Air School and Stenden South Africa (1 of 5 international campuses of Stenden University, Netherlands offering full degree programs in Hospitality and Disaster Relief Management) nearby. Golf courses include the Royal Port Alfred Golf Club and just a short drive from the acclaimed Gary Player designed Fish River Sun course. Excellent local restaurants, eateries, microbreweries, shops and malls close by, including a growing craft industry. There is literally something for everyone's taste/interest nearby to enhance a truly fabulous holiday / coastal retreat. 3476 page views since 28 Jan, 2015.